It’s no secret that Village n Life cares deeply about it staff. Whether it is helping them further their education or develop their skills, getting involved in their communities’ challenges, or simply lending a helping hand where needed; Village n Life staff can attest to the sense of community that shrouds Village n Life. And nowhere does this sentiment ring more true than at the Village n Life Staff Village. 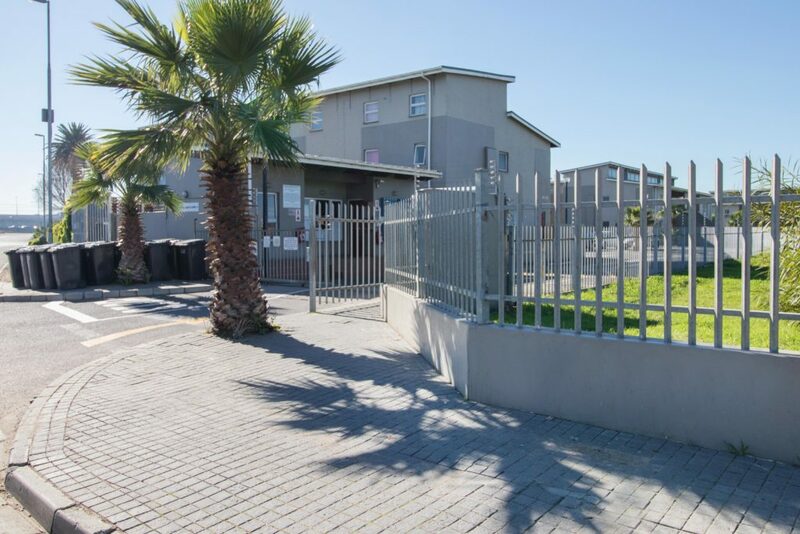 Situated in Maitland, the Village n Life Staff Village comprises of number of apartment blocks located in central Maitland. Royal Maitland One, Royal Maitland Two, Shemax Court and Lavana are apartment blocks managed by Club Resco, and makes up the Village n Life Staff Village. Home to about 15 Village n Life Staff Members currently, the Staff Village is a true community of colleagues. We recently sat down with Village n Life staff member, Victor Mangala, who is the Duty Manager at Camps Bay Retreat, to hear more about the Staff Village, and what his experience is living in this community of colleagues. Victor has been living in the Staff Village for just over a year. According to you, what makes the Staff Village so nice to live in and what do you enjoy most about living in the Staff Village? First of all, the security. It is a very safe area, and the apartment blocks are very secure. All the apartment blocks are controlled with security guards and gates 24/7. Each of us can only enter the building with our fingerprint IDs. If we have visitors over, we have to physically meet them at the gate, confirm to the security guards that we know them, and sign them in. It’s all very well controlled and professional. For those of us with cars of our own, we also have a dedicated and secure parking bay for our vehicles. My parking bay is right in front of my front door, so that is super convenient! Other than the security and the comfort of the apartment blocks, the Staff Village is also situated close to a lot amenities, which makes living there that much more enjoyable. One of the best things about living in the Staff Village, however, is the sense of community we all have. We all know each other, and if somebody needs help, you can just ask. This also helps increase the sense of security. What is nice about living in Maitland? Maitland is less than 30 minutes away from Cape Town CBD. Because it is so close to town, travelling time for us Village n Life employees to work at the various Cape Town and Camps Bay properties is quick and easy. I personally only travel about 20 minutes to work everyday – which is much shorter than the travelling time from where I used to stay. This way, my colleagues and I save a lot of time and petrol. There is also easy and convenient access to public transport in Maitland. You can easily hop on the train, or bus to town, and the MyCiti bus also has a route to Maitland. Our apartment block is also close to several amenities. There is a supermarket just up the road, doctors rooms and even a clinic. It’s a very quiet and safe area. 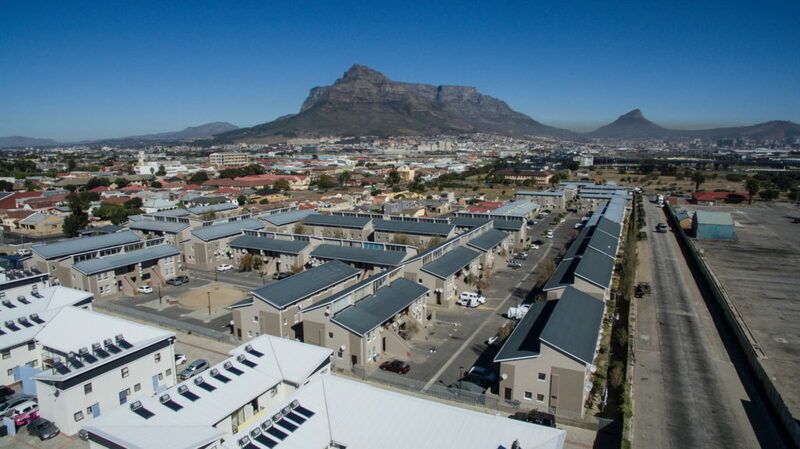 I also have beautiful views of Table Mountain from my apartment, as well as a little bit of a view of Bloubergstrand. How does living in the Staff Village make things easier for you? As I’ve said, the location of the village is ideal. 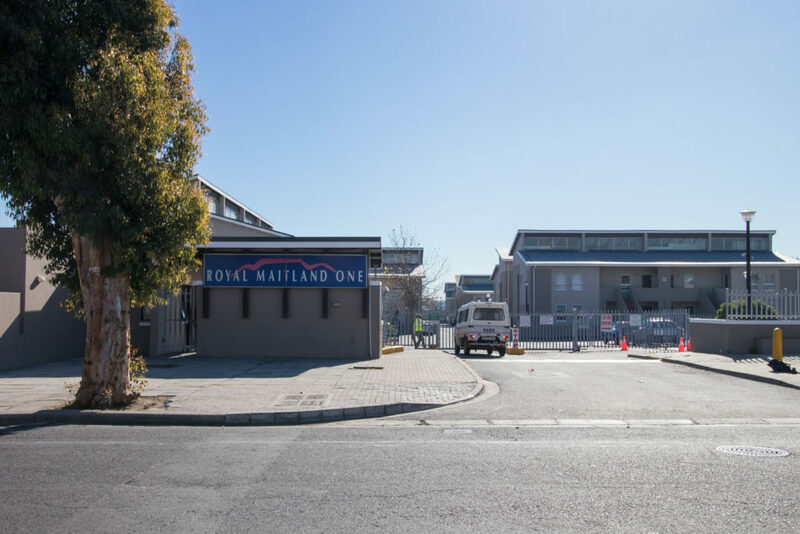 It is central and close enough to town to make travelling to work easy, while the area in Maitland is quiet and secure and offers me the opportunity to quickly go to the shops or clinic – even Canal Walk is less than 10 minutes away! Other than that, the fact that it is close to public transport pick up points is great, and the fact that my colleagues live close by. How would you describe the sense of community in the Staff Village? Very friendly! There really is a great sense of community and we are all ready give a helping hand to each other. If you’re stuck in your apartment or need to borrow milk or your apartment doesn’t have water and you need a quick shower before work, you can just ask someone for help. We are all in a WhatsApp group together, so it makes communicating easy. We also arrange lift clubs to and from the various properties for work. Finally, what other ‘perks’ are there to living in the Staff Village? Besides all the things I’ve listed already, we also get cleaning services in to our apartments once a week. These cleaners are Village n Life housekeepers, and help to keep our apartments clean and tidy. Also, if we need something repaired in our apartments, we can simply send a message to the manager, and the Village n Life maintenance team will pitch up to fix the issue within a day!